Saturday’s penultimate concert of Jacaranda’s 2011-2012 season, performed at the First Presbyterian Church in Santa Monica, was a feast for the senses: Messiaen, Gubaidulina, Dutilleux. Simultaneously an observation of the 20th anniversary of Oliver Messiaen’s death, the 80th anniversary of Sofia Gubaidulina’s birth, and a nod of gratitude that Henri Dutilleux is still alive today at age 96, the program was titled “Rosary Mantra,” a conflation of terms that acknowledges the multi-pronged spiritualism reflected in Messiaen’s transcendental compositions. 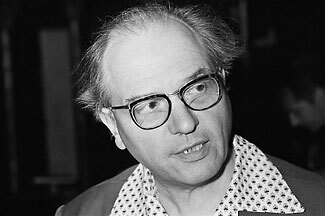 The program in fact began with Messiaen, Meditations II and V from Meditations sur le mystere du Sainte Trinite, from 1969. At the organ console was Mark Alan Hilt, whose nimble dexterity was all the more remarkable given the fiendish difficulty of these pieces. Meditation II, a contemplation of “sacred purity, distinct and inviolable in the person of Christ through the grace of union” –a paraphrase of the composer’s words from the evening’s program notes- begins with a declamatory “alleluia” that soon gives way to alternating passages of bird song and haunting, chromatic chord clusters that, as in the somewhat more dramatic Meditation V, are at once massed and clotted, otherworldly and transfigurative. The heralding of Christ’s birth is the subject of Messaien’s 9-movement La Nativite du Seigneur. On this occasion, Mr. Hilt performed the final movement, titled “Dieu Parmi Nous” (God Among Us),” a toccata of increasingly feverish atonal chord progressions that enveloped the sanctuary in waves of frenzied exaltation before tapering off to a conclusion of ineffable poignancy as befits the divine mystery embedded in the composition’s subject. The organ at First Presbyterian is a luscious instrument, clarion without sounding overly reverberant, and Mr. Hilt played it masterfully, creating an aural tapestry of remarkable color and dynamic range. Mr. Hilt returned for the program’s second half in two compositions by Sofia Gubaidulina: a short work from 1976 titled Light and Darkness that is the only piece she’s composed for solo organ; and the West Coast premiere of 2001’s Risonanza (or “Resonance”) for organ and a small but mighty ensemble of brass and strings. Resonance indeed. Beginning with the shrieks of a piccolo trumpet that are a demented echo of Messaien’s paradigmatic bird sounds -thus bringing the concert full circle- Resonance is a dense mash-up of nervous syncopation, antiphonal restlessness, and jittery ostinato, the organ often resonating at the lowest end of its sonic range. The piece builds at times to a convulsive wall of sound that shook the rafters and travelled from the floor up through one’s central nervous system. This was palpably felt music, literally as well as emotionally. Although not on as grand a scale, Light and Darkness, a short piece of dexterous virtuosity, gave Mr. Hilt another workout, earning him a well-deserved ovation for his traversal of the work’s zippy compositional progressions and its shifting, oppositional textures as thematically delineated by its title. Dutilleux’s Trois Strophes sure le nom de Sacher for solo cello, commissioned by cellist Mstislav Rostropovich to commemorate the 70th birthday of noted conductor and arts patron Paul Sacher, and composed from the letters of his surname, provided both a contrast to, and a respite from, the two Gubaidulina works surrounding it. Its three short pieces, creating numerous technical challenges for the cellist, are by turns plaintive, agitated, whimsical, tremulous, even gossamer-like, and dare one say almost sacred in keeping with the program’s occasional theme. Soloist Timothy Loo gave a fine reading of the score on par with the excellent work from the other instrumentalists, a tribute to Jacaranda’s estimable ongoing role in bringing serious contemporary music to Southern California.